British glam-rockers The Struts have announced the release of their sophomore album YOUNG&DANGEROUS on Interscope Records October 26th. Fans who pre-order will receive instant downloads of four songs – current hit single “Body Talks,” “Primadonna Like Me,” “Body Talks ft Kesha” and new song “Bulletproof Baby.” “Bulletproof Baby” is featured in the EA NHL ’19 game and is available at all digital retailers. 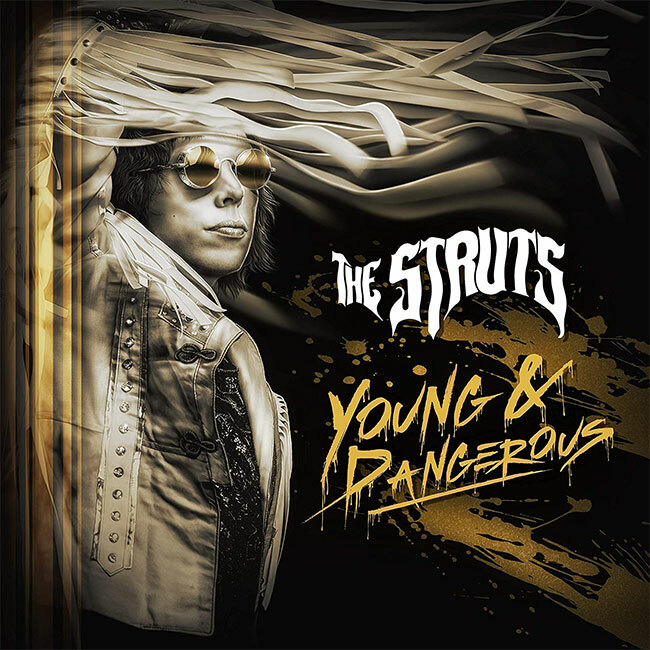 YOUNG&DANGEROUS follows the 2016 release of The Struts’ debut album Everybody Wants. In just a few years, The Struts have found themselves massively embraced by some of the greatest icons in rock-and-roll history. Along with opening for Foo Fighters, The Rolling Stones, The Who, and Guns N’ Roses, the U.K.-bred four-piece was hand-picked by Mötley Crüe to serve as the supporting act for their last-ever performances, while Dave Grohl praised them as “the best band to ever open for Foo Fighters.” Formed in Derby, England in 2012, The Struts are Luke Spiller (lead singer), Adam Slack (guitar), Jed Elliott (bass) and Gethin Davies (drums). The Struts are gearing up for a fall headlining tour. The Body Talks Tour kicks off September 21st at St. Andrew’s in Detroit with shows already sold out in major markets. Tickets are on sale now via thestruts.com. October 26 Arlington, TX Texas Live!